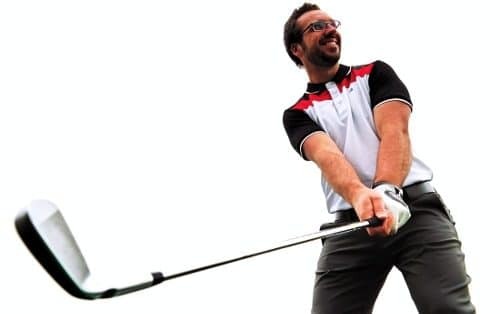 Peter Finch explains how to gain more power in your golf swing by controlling the rotation of your body. Controlling the rotation of the body during a golf swing leads to better control of your swing tempo which can help you gain yardage. Peter uses his FlightScope X2 launch monitor to show how he gains carry distance, total distance and increases his club head speed all by controlling the rotation of his body through the swing.